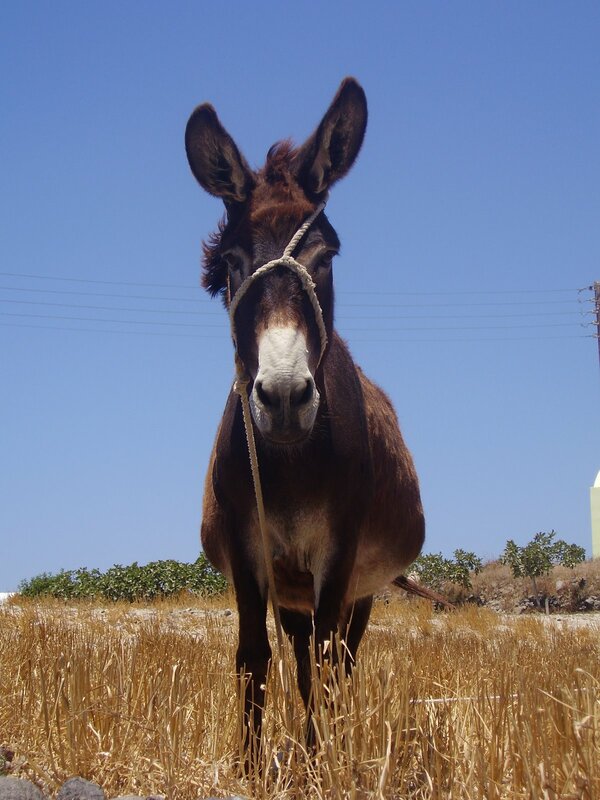 Once upon a time there was a farmer who had an old mule. The mule fell into a deep dry well and began to cry loudly. Hearing his mule cry, the farmer came over and assessed the situation. The well was deep and the mule was heavy. He knew it would be difficult, if not impossible, to lift the animal out. Because the mule was old and the well was dry, the farmer decided to bury the animal in the well. In this way he could solve two problems: put the old mule out of his misery and have his well filled. He called upon his neighbors to help him and they agreed to help. To work they went. Shovel full of dirt after shovel full of dirt began to fall on the mule’s back. He became hysterical. Then all of a sudden an idea came to the mule. Each time they would throw a shovel full of dirt on his back he could shake it off and step up. Shovel full after shovel full, the mule would shake it off and step up. Now exhausted and dirty, but quite alive, the mule stepped over the top of the well and walked through the crowd. A great attitude. A great way to approach life. Shake it off and step up. Too often we hold on to what has happened to us. We hold on to it for a week, a month, even years. We cannot shake it loose from our memory. It eats away at us and steals our joy, happiness and peace of mind. The past hurt can create feelings of bitterness, resentment, anger and revenge. We keep allowing these emotions to be thrown on our backs and if we do nothing, we will be buried deep in the well. Walls will be built in our relationships. We will avoid each other and the cold war begins. But, we have a choice: keep it inside and embrace the hurt or shake it off and step up. Give it a try. Shake it off and step up. Words that have been said or actions that have been done, shake it off and step up. Let it go. Whatever it is: a rude comment, a past mistake, being ignored, we can stew over it all week. It occupies us all the time. Too often we nurse hurts, we keep them alive inside and go over them time and time again; not only stewing from them, but now chewing them over and over until it gets us sick. Too often we rehearse hurts, tell everyone what has happened to us. The cure is to accept what has happened, try to make sense out of it, learn from it, then shake it off and step up. When you let it go you feel free and you are no longer buried in the well. Once you are on your feet again you can take some action. You decide where you want to grow in life, the direction you want your life to take. You decide whether you will allow the hurt to make you a bitter or a better person. Learn from it. Emerge stronger. THAT’S LIFE! If we face our problems and respond to them positively, and refuse to give in to panic, bitterness, or self-pity…The adversities that come along to bury us usually have within them the potential to benefit and bless us.